Simple Beauty Tips All Girls With Gorgeous Skin Follow! Have you always wondered why you keep breaking out and are not able to achieve healthy and glowing skin? Like everything else, your skin too needs your attention and for a flawless complexion, you need to follow certain essential steps. We give you some little but important beauty routines all girls with flawless skin are diligent about. You should be following these beauty tips for clear, glowy skin! We can’t stress this enough, ladies! Drinking an adequate amount of water is good for your skin as it helps in the absorption and excretion of toxins. Water also helps in combating various skin problems like premature ageing, eczema and psoriasis. Sleep plays an important part in your skincare routine. For flawless skin you should sleep for at least seven hours so that your skin is fresh and healthy. Try to hit the bed early so that even if you have to wake up early, you get enough sleep. If you want flawless skin then exercising is something you just can’t skip! Working out and sweating helps in releasing happy hormones which keep your skin healthy. It also helps in building the elasticity of your skin and gives you that beautiful, dewy radiance. It’s essential to clean your makeup brushes at least once a week if you apply makeup every day. Dirty makeup brushes are a cesspool of germs and bacteria. Not cleaning them often enough can lead to breakouts, something we are sure you definitely don’t want. Even if you don’t use makeup every day, it’s important to clean them after 2-3 uses. This is something that most women often forget to do. However, exfoliation is essential as it removes dead skin cells to give you baby soft skin. You don’t even need to spend money on expensive scrubs. You can just make your own scrubs at home. Try A Homemade Face Mask! Your face is exposed to pollutants day in and day out. 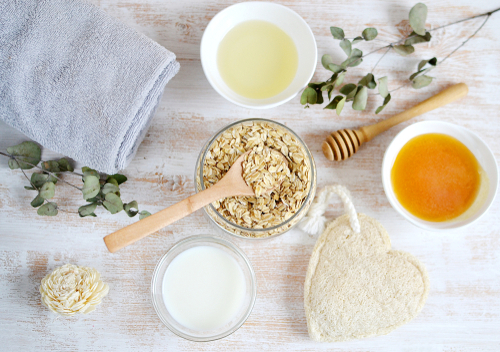 Show it some extra care by pampering it with homemade face masks every weekend. They are all natural, free of chemicals and such a fun and easy way of rejuvenating your skin at the end of a hectic week. Always be gentle when you apply something on your skin. Don’t be harsh and rub vigorously while applying a moisturizer or any anything else. Pat your face gently with a towel and don’t pick on it unnecessarily. Girls, it’s extremely important to relax and forget about all the things that are making you uneasy. Being under stress is not good for your skin and it leads to reduced sleep which can result in dark circles under your eyes. Make it a point to unwind often, book yourself in for a massage or just curl up with a good book. It doesn’t matter if it’s sunny, cloudy or windy, always apply sunscreen when you head out. Sunscreen protects your skin from harmful radiations and prevents skin pigmentation and premature ageing too. When it comes to looking after your skin, it all boils down to your skin type. You see, different skin types require different treatments. The first thing you must do is figure out the skin type you have. One way to do this is to get in touch with your dermatologist. They would be able to give you a better idea or you can find out yourself by observing your skin in the mirror. This is how you do it by yourself. Is your T-zone looking shinier than the rest of your face? Then, you most definitely have combination skin. If you notice no extreme change or difference in your skin from morning to night, then you have normal skin. If there are dry patches, bumps or redness on your face, then you probably have dry or sensitive skin. Skin that looks oily and greasy from day to night is probably a sign of oily skin. Let’s Get To Know Your Skin Type Better, Shall We? Women with normal skin are happiest. Normal skin does not break out easily nor is it prone to acne or rashes. It also doesn’t get too oily or too dry. It is the most unproblematic of all skin types. You have good skin and should thank your genes for it. Many of my friends have oily skin and if you do too, you’ll notice that your skin starts to look greasy and shiny during the day. However, that’s where the problem lies. 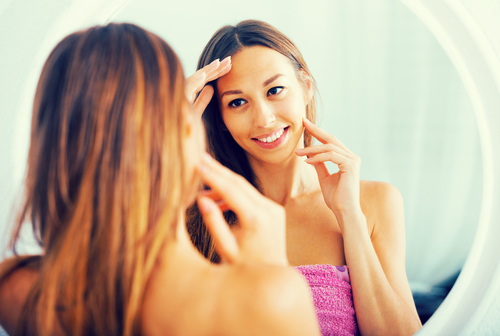 Oily skin is prone to clogged pores, blackheads, breakouts and whiteheads. To improve your skin’s texture, you must wash your face twice a day and try to cut down on applying too much makeup as it can clog your pores which leads to acne. I have combination skin and I can tell you that it’s the most difficult type to manage. It’s a mix of oily and dry skin and to be honest, it’s quite a confusing task to take care of. Let me elaborate - only some areas like your T-zone appear oily while other parts like your cheeks and under eye area remain dry. The climate and weather also tend to play a huge role in determining the texture of your skin. Dry skin is scary because it makes you age faster. 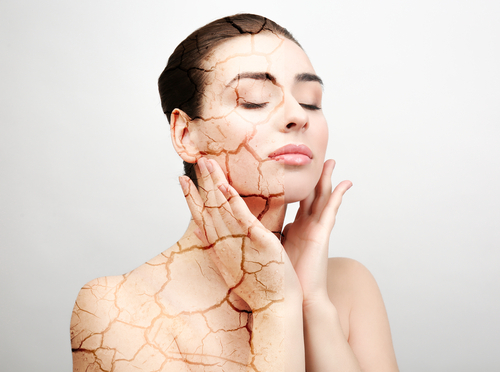 Wrinkles, fine lines, flakiness, redness are some of the symptoms of dry skin. Even if you moisturise and apply a product, your skin becomes so dry that you are required to apply more product during the day. 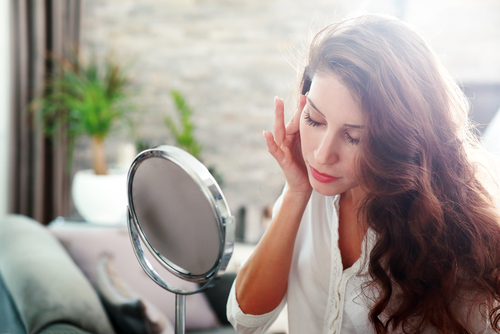 Those who have sensitive skin should get in touch with their dermatologist asap. Any product used can irritate the skin and cause it to break out and peel. You’ll experience more itchiness and dryness in the afternoon and at night. Consider taking a break from makeup and focus on moisturising and hydrating. If at all any product that you apply makes you experience burning or itchiness, wash your skin right away. It will get worse if you keep the product on for a longer duration. 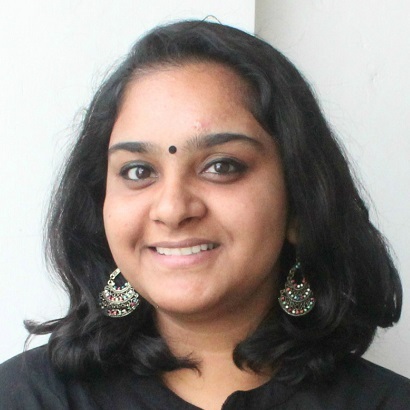 It’s safest to use natural products on this skin type and to avoid harsh, chemical-laden ones. Here Are A Few Beauty Tips For Each Skin Type! Instead of washing your face with commercial products, use a mild soap or organic coconut oil to cleanse the skin of makeup, dust and grime. A person with normal skin can also use rose water to cleanse and tone skin. Always include sunscreen into your skincare routine. It will save your skin from getting tanned and will keep dark spots away. In case you’re always in a hurry, mix sunscreen into your body lotion or primer and apply it to your skin. Stay away from heat. If you’re blow-drying your hair, make sure that the hot air does not make contact with your skin. If it does, it could dry your skin out and that could make your complexion patchy and prone to breakouts. Apart from cleansing your skin, you must eat your way to pretty skin. Drink lots of juices and water for that glow! The more hydrated you keep yourself, the clearer your complexion will become. A good homemade face mask to make is one that contains orange juice and milk. In a bowl, add half a cup of milk and half a cup of orange juice. Mix both ingredients well and apply the mask to your face. Leave it on for 20 minutes to dry and wash your face with chilled water. It will start to look and feel brighter and smoother. Oily skin needs to be washed and exfoliated twice a week. Exfoliation is important as it removes dead skin cells and dirt that clog the pores and result in acne and blackheads. One thing to note is that you shouldn’t scrub away at your skin, wash it gently and massage the scrub in circular motions as this will prevent further damage to your skin. Make a face mask at home either with Multani mitti or sandalwood, they’re great because they absorb and dry all the excess oil from the pores. You can also make a homemade face mask by cutting an apple into fine slices and drizzling honey over it. Mash and blend both ingredients well so that you are left with a thick, gooey paste. Apply to your skin and leave it on for about 10-15 minutes. You’ll notice that your skin will start to look brighter and feel smoother post-cleansing. If I were you, I would stay away from all toners that contain alcohol in them. Not only will these products damage your skin, but the chemicals in them will also cause you to breakout. Consider rose water to use as a toner. It helps to cool the skin down, eliminates oil and cleanses pores from all the gunk and dirt trapped in them. Even if you have oily skin, you must make it a point to moisturise and hydrate your skin every day! 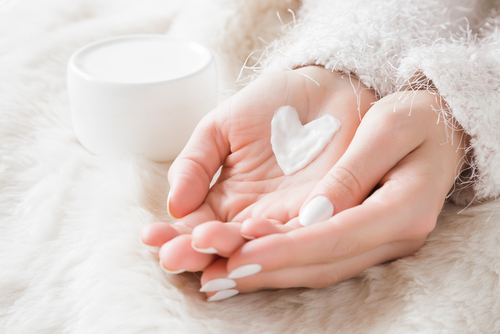 However, choosing the right moisturiser for your skin type is crucial. An oil-free water-based moisturiser should do the trick. Believe it or not, but oily skin has a lot to do with your diet. So eat clean and drink lots of liquids like water and fresh juices made from fruits and leafy veggies. Try as much as you can to stay away from junk food and sugary sweets. These aren’t just toxic for your skin, but make you gain unwanted weight as well. Ladies, as much as you enjoy your bath time, you must cut it short. You see, the longer you stay in the shower, the more time you expose your skin to warm, moist air. While this feels relaxing to some, it does strip the natural oils from the skin. I would suggest that even when using soaps and facials cleansers, use ones that you get at a local chemist. Take your dermatologist’s opinion before buying any product. Drill this rule into your head ladies, after stepping out from a shower, moisturise! Start by patting your skin dry instead of rubbing it harshly using a towel. The more gentle you are with your skin, the better. Since you have dry skin, it’s always best to make sure that it’s moisturised and hydrated every moment of the day. You may already know this by now that lips are prone to cracking during the winter season. To keep your pout smooth, moist and soft, make a lip scrub at home by using sugar and lemon juice. After scrubbing all the dead skin cells off, apply lip balm or put on a lip mask. This helps to make your pucker smooth and soft. The sun can cause damage to your skin and makes it prone to ageing early. To avoid fine lines and wrinkles, apply sunscreen generously on your hands, feet, neck and face. The sunscreen protects your skin from the sun’s harmful rays and makes your skin look more youthful in the long run. The final tip I would suggest for dry skin is oil cleansing. Without wiping out your skin’s natural oil, it cleanses it and makes your pores squeaky clean. All you’ve got to do is mix olive oil with coconut oil. Then, soak a face towel into hot water and squeeze till all the water comes out. Place it on your face and slowly massage your skin and gently wipe all the excess oil out from it. Abandon soaps completely for a while. Most soaps found in the market today are packed with chemicals. This could irritate your skin and give birth to a new batch of acne. Instead, opt for a mild cleanser. You can also make one at home by using milk/yoghurt and honey. Ladies with combination skin should embrace a night cream. This product will offer moisture and glow to your skin. It also lowers your ageing process and makes your skin feel soft and supple each time you wake up in the morning. Regular facials are a must for combination skin. A large part of a facial includes exfoliation. This helps to keep the acne, whiteheads and blackheads at bay. If you’re getting one done at home, make sure that you expose your skin to steam first and then exfoliate. It helps to remove all the gunk, oil and dirt faster. You must later follow the CTM technique that’s cleansing, toning and moisturising. No matter what you do, don’t touch your face. The more you touch your face, the more dirt and germs get spread on your face. To remove the oil from your T-zone region, use blotting paper instead of your fingers to get the job done. If at all you’re confused about taking care of combination skin, you can also meet a dermatologist to learn about your skin better. They would be the best people to help you find the perfect cleansing and moisturising products for your skin type. Because of the combination tendencies of your skin, different areas can be treated differently. You shouldn’t use one moisturizer all over your face. 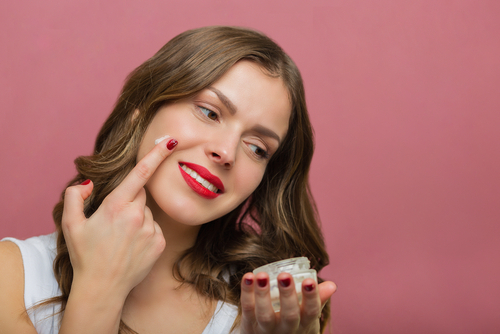 You can use a richer, heavier moisturizer for your cheeks and an oil-free one on your T-zone to help zap that greasy shine. Don’t make a spontaneous splurge without doing your research about a product. You see, for sensitive skin, not every product will agree with your skin. Hence, it’s important to test it out on a small patch of skin first and watch it for 2 days. If you experience any allergic reactions then chances are that the product doesn’t work with your skin type. This goes the same for your makeup. Don’t buy products that contain parabens, fragrance and minerals. These ingredients are toxic in nature and they can damage your skin in the long run. A good mask to make at home is using yoghurt and oatmeal. Both these two ingredients help to keep skin calm, moist and smooth. They are also cooling for your skin and help to improve its texture as well. Don’t wipe your face with towels. Sometimes, the fabric is rough and can damage your skin. To cleanse your skin, opt for face wipes. They’re much gentler and help keep your skin clean and moist all day long. Last but not least, drink lots of water. This helps to keep skin moist, supple and radiant. To tighten your pores, you can also splash ice-cold’ water on your face and rub your skin with an ice pack. It works like a charm all the time and it’s also great to reduce redness and soothe irritated skin. Images: Shutterstock POPxo is now available in six languages: English, Hindi, Tamil, Telugu, Marathi and Bangla. AWESOME NEWS! POPxo SHOP is now Open! Get 25% off on all the super fun mugs, phone covers, cushions, laptop sleeves, and more! Use coupon code POPXOFIRST. Online shopping for women never looked better.